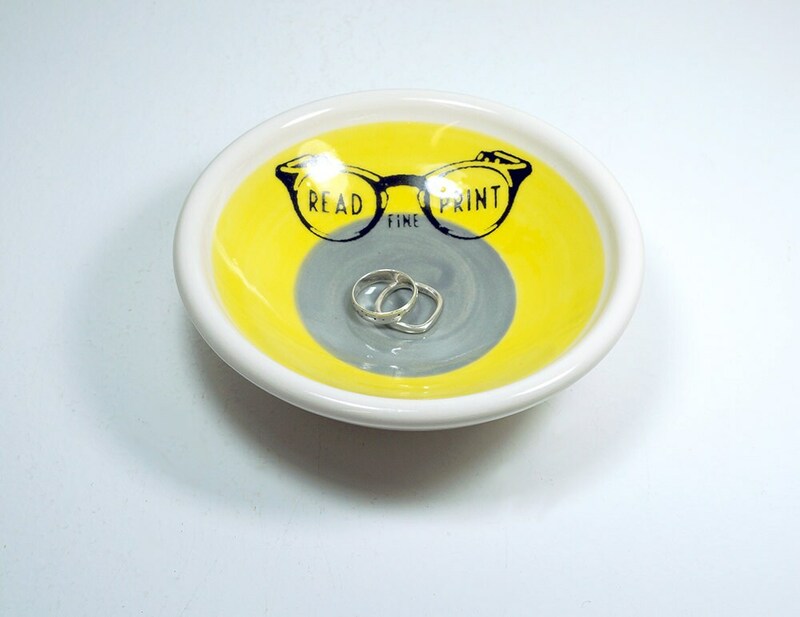 small dish, with a Read Fine Print sign shown here on a color block of yellow & storm, made to order. 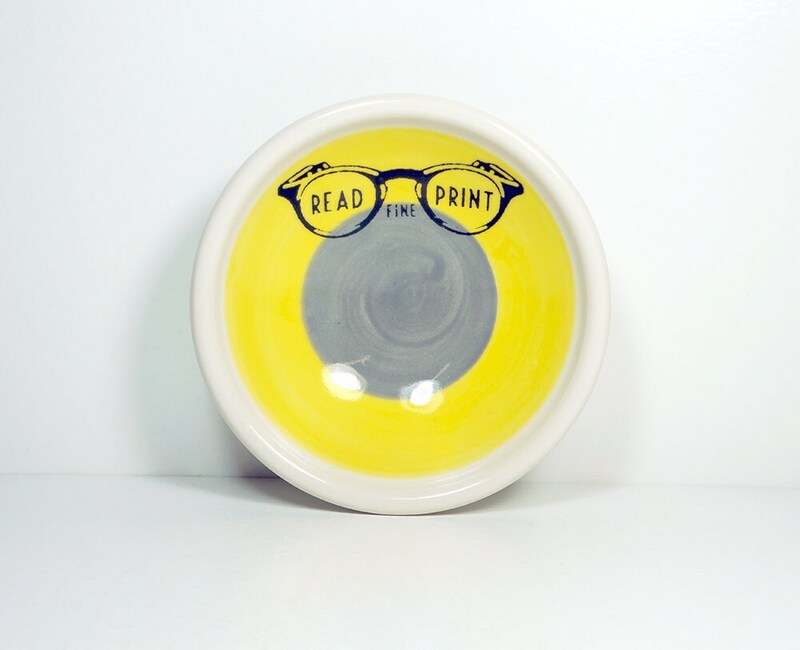 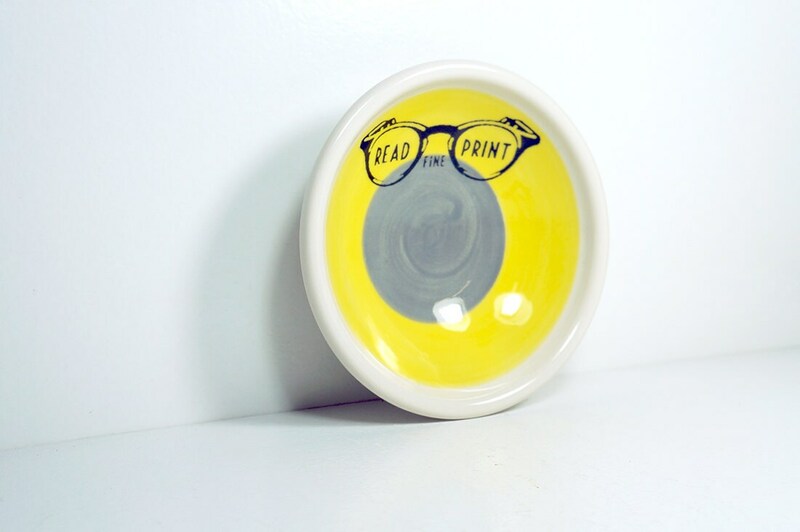 small dish, with a "Read Fine Print" sign shown here on a color block of yellow & storm, made to order. 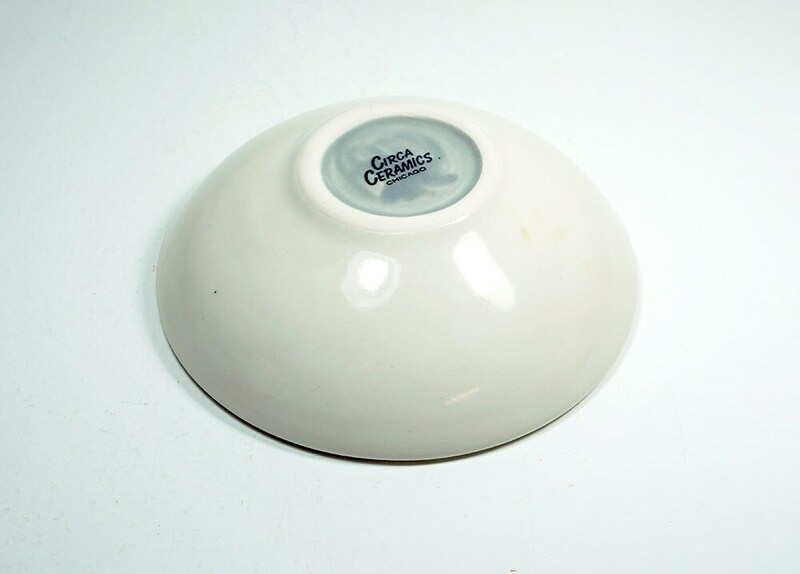 ► 5 3/8" diameter by 1 5/8" high, empty weight is approximately 15 ounces (just under 1 pound).